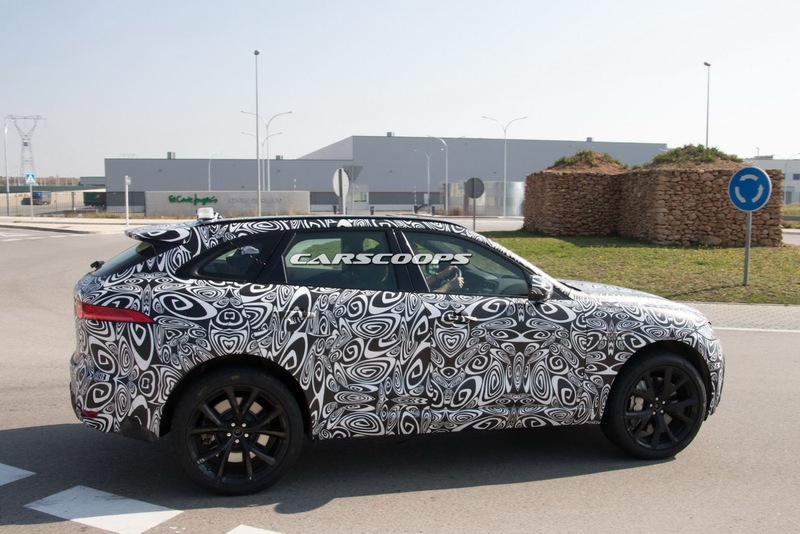 Jaguar has been exploring new ways of making the flagship F-Pace luxury SUV more exciting and they seem to have met with a solution as an ultra hot SVR version is believed to be in the works. In contrast to the F-Pace SUV test mules snapped on international roads recently, the new clicks let us into a quad tail pipe exhaust system. Despite wearing camouflage, it somewhat explains the pace in which the development is happening as it was also seen riding on a larger Y-spoke alloy wheels and the bumper looked aggressive in nature. 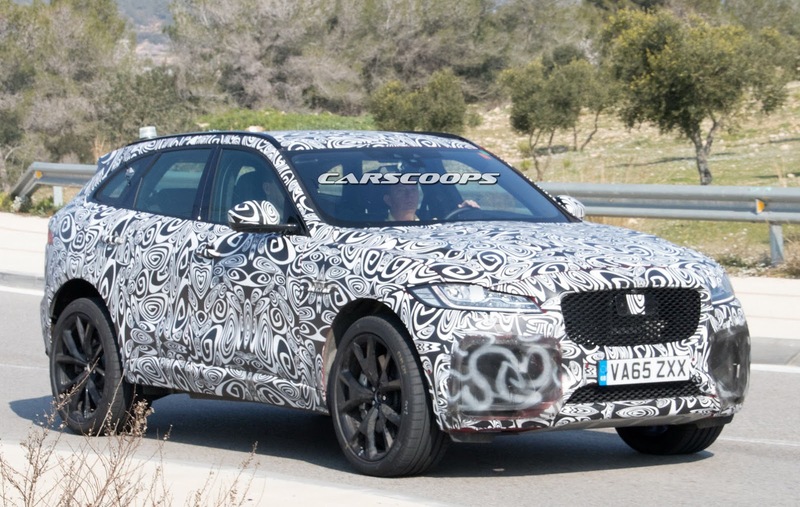 Jaguar has been selling the F-Pace in good numbers worldwide and the popular model will have its appeal enhanced further with the SVR version and approach to performance-obsessed customers. It is likely to contest against potent rivals like the Porsche Macan Turbo and the Alfa Romeo Stelvio Quadrifoglio. 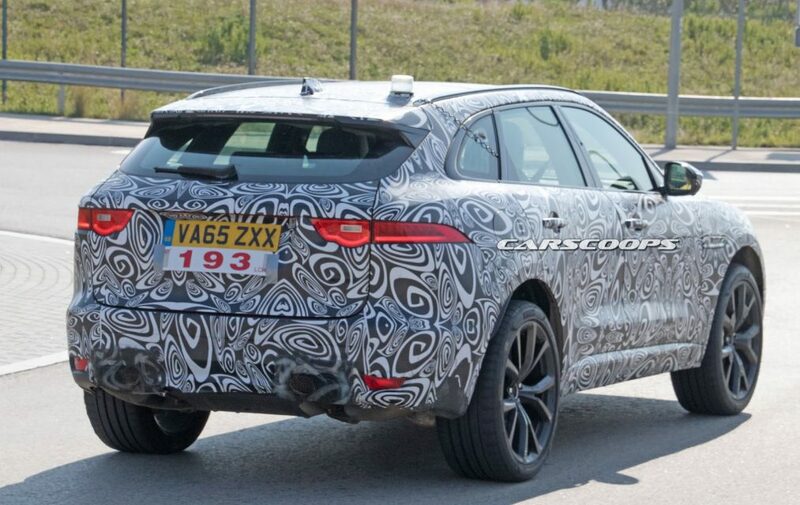 The addition of an SVR variant to the F-Pace lineup is an exciting prospect as the current supercharged 3.0-litre V6 engine churning out 381 PS fails to meet as per reports in terms of performance and take the segment by storm. What the F-Pace needs is extra power and it should come about thanks to the supercharged V8 the F-Type uses with 575 PS or the slightly detuned 5.0-litre motor making 551 PS power. 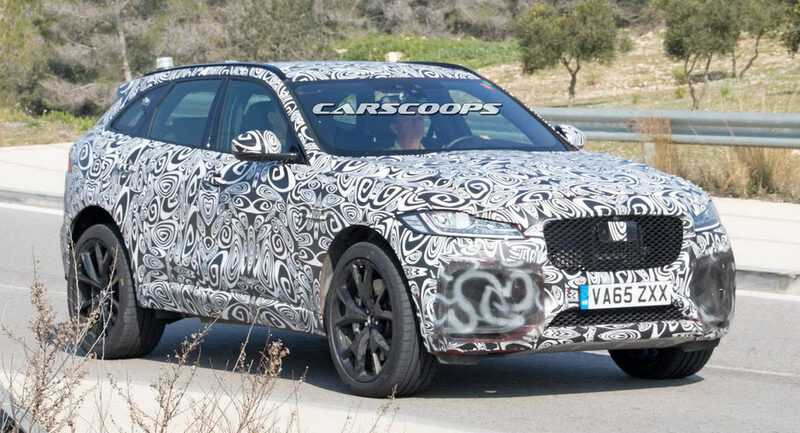 It is also likely that an upgraded version of the existing V6 developing 500 PS is possible as well but we would have to wait and see what Jaguar has in store for us. Considering the fact that the Macan Turbo can do 0-100 kmph sprint in just 4.4 seconds, expect the F-Pace SVR to be around couple of tenths quicker. Launched towards the end of last year, the F-Pace is currently available in India with two diesel engines. The entry-level f2.0-litre diesel motor churns out 180 bhp and develops 430 Nm of peak torque while the more powerful 3.0-litre V6 oil burner dishes 300 bhp and 700 Nm of torque.